TODAY: Romrell Park at 275 4th Street, Ogden, Utah. For many decades this park and mound was simply known as the 4th Street Park. 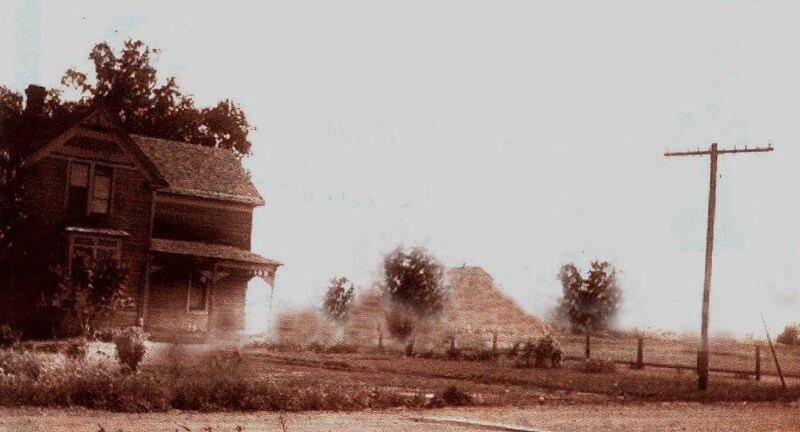 In 1979 the Ogden City Council renamed it the Romrell Park in honor of the pioneer family that historically farmed the land around Clark’s Hill (the mound) and built the house next to the park at 253 4th Street. The Romrell Park connects to the 4th Street Ball Park, and the west side of Clark’s Hill holds the bleachers. This is a popular park for sports, bikes in the summer and sledding in the winter. TODAY: Sledding and tubing are popular on Clark’s Hill; photo 2012. YESTERDAY: Romrell Park in about 1910 was the farmland of George Romrell and William Henry Clark; Romrell house still stands at 253 4th Street; Clark’s Hill and house in the background; photo courtesy Lee Romrell. 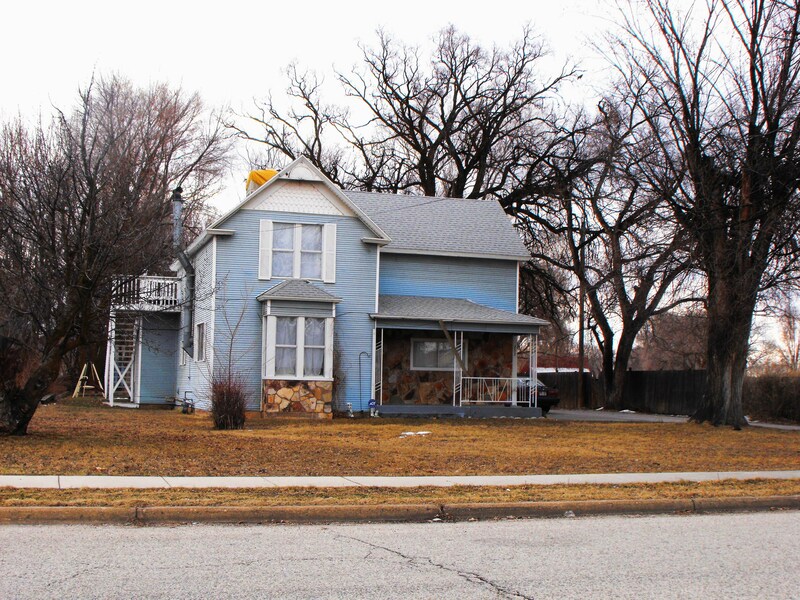 TODAY: George Romrell house still stands at 253 4th St. east of the Romrell Park; photo Feb. 2011. Francis Romeril and his wife Mary immigrated from the Isle of Jersey in the English Channel and arrived in Bingham’s Fort in 1855. Francis took up residence in the fort and established a farm on West 2nd Street that he later shared with his son-in-law, George Pierce. For more details about Francis Romeril, his daughter Jane and her husband, see 142 W. 2nd St.
Francis’ son George Romrell and wife Patience arrived in November 1861. George and Patience built a dug out home for their first winter in Utah Territory. Subsequently George Romrell purchased much of the land from 4th St. and Washington Blvd. to Clark’s Hill. In the following years he built four homes on this land and planted a large orchard. George was a carpenter, a horticulturist and a furniture turner. See 253 4th Street for more details of George Romrell. This entry was posted on May 5, 2009 at 3:33 am	and is filed under 8. MONUMENTS & PARKS, c. Romrell Park. You can follow any responses to this entry through the RSS 2.0 feed. You can leave a response, or trackback from your own site. I found this interesting. I am not sure where the info came from that this is where they spent the first winter. That was 1861. He didn’t buy the place till 1873. Interesting…. Doing genealogy and found this website. This is a long way from the Isle of Jersey!